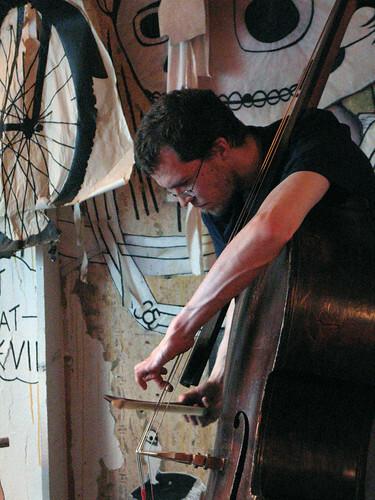 Dominic Lash is a double bassist, improviser, and composer, based in Bristol. Like most of us he’s also a lot of other things, including in his case a writer, a cat owner, an organiser of concerts, a poor whistler, and fine company. 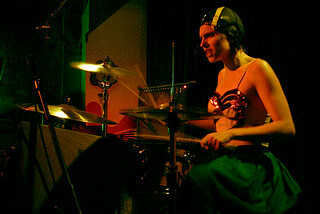 But keeping just to his music, Lash has performed in more than a few countries of the world with a huge array of musicians ranging from Tony Conrad to Steve Reid with detours to take in the likes of Joe Morris and Evan Parker; in the course of this he’s recorded innumerable records of innumerable sorts, all of which contain music. His main projects include The Dominic Lash Quartet, The Set Ensemble (an experimental music group focused on the work of the Wandelweiser collective) and The Convergence Quartet. More at his homepage here. This is a weekly overview live performances in the Chicago area. Contact us if you’d like your shows listed. Since 1945, the Dutch competition / festival, Gaudeamus Muziekweek, has been one of the most important meeting grounds for young composers and breeding grounds for new directions in music. Young composers chosen for inclusion in the festival have gone on to active and influential careers. Continuum, Arraymusic and the Music Gallery join forces to bring the artistic vision of The Netherlands’ famed Gaudeamus Muziekweek to Toronto. In this two-night summit, local and Dutch musicians and video artists express the latest in improvisation, and the ensembles of Continuum and Arraymusic are joined by Dutch musicians in works that crackle with Gaudeamus spirit. The Smithsonian’s National Museum of American History will kick off the 13th annual Jazz Appreciation Month March 26 at 11 a.m., with donations from Ravi Coltrane, son of international music legends, John and Alice Coltrane, and from notable jazz photographer, Chuck Stewart. Coltrane will then discuss his father’s career and the famed studio album, A Love Supreme, widely considered one of the greatest jazz albums of all time and celebrating its 50th anniversary. During its own 50th anniversary year, the museum is displaying Coltrane’s original score in the “American Stories” exhibition through June 17. The ceremony will be webcast live online.